Sophie has 20 years experience in designing, planning and implementing complex change projects in a wide range of organisations. She has worked as a project manager, a trainer, a director and a consultant. She started her career as an Occupational Therapist in the NHS. 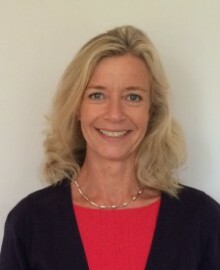 Sophie is a highly experienced coach and facilitator and has a successful track record, helping individuals and organisations to develop and thrive. Sophie is a practitioner in a wide range of psychometric tools and has a number of post-graduate qualifications. Sophie is a Talent Dynamics Performance Consultant. Sophie starts with the premise that the greatest success is achieved through people. Sophie is based in the UK and has a love of scuba diving in sunnier climes! She is a keen swimmer, enjoys triathlons, her allotment, her animals and of course her four children. "From the outset Sophie struck me as a professional, conscientious and warm individual with a clear passion for working with people. She speaks with enthusiasm about her work and engenders trust readily with those she meets"